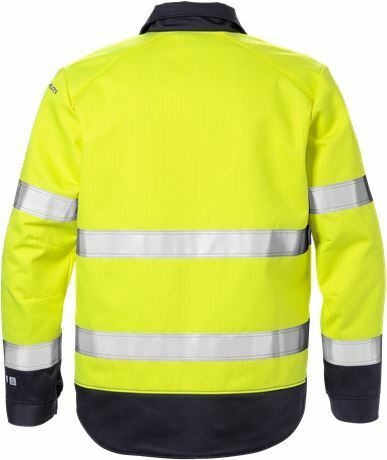 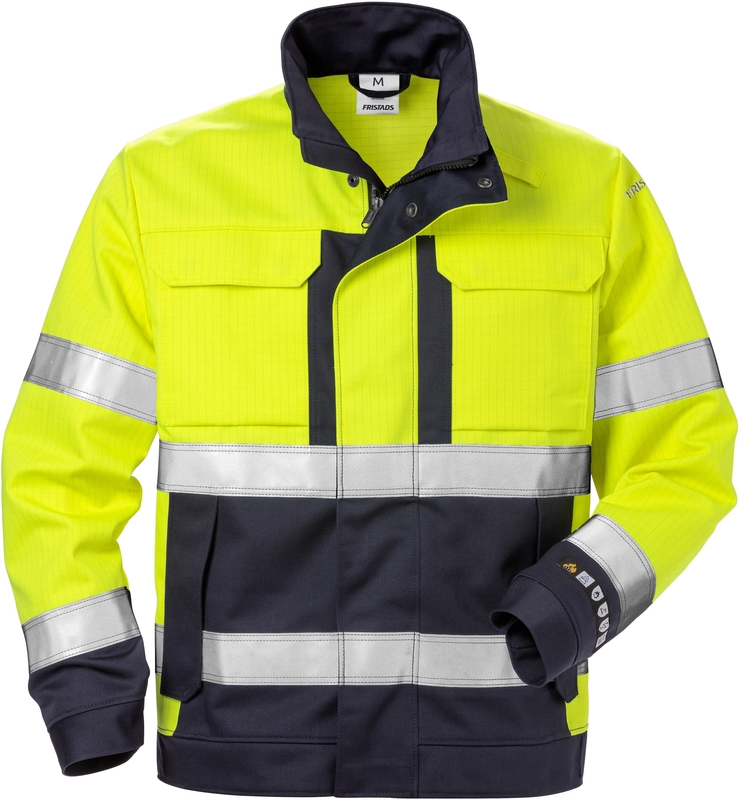 High vis certified flame protective jacket in a durable and comfortable flame retardant treated material. 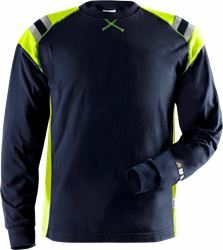 Designed with dark colour on areas that are more exposed to dirt. Tested for 50 cycles in industrial laundry. 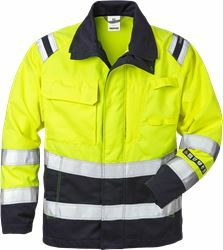 Front placket opening with zip to top of collar and concealed snap fastening / 2 bellowed chest pockets with flap and concealed snap fastening, 1 with inside D-ring / 2 front pockets with concealed snap fastening / Inside pocket with button fastening and mobile phone pocket with flap and velcro fastening / Adjustable waist with button / Adjustable cuffs with snap fastening / Extended back / Approved according to EN 61482-1-2 class 1, EN 61482-1-1 ATPV 10,6 cal/cm² HAF 80,4% (see Electric arc table for certified garment combinations for EN 61482-1-2 class 2 and open arc according to EN 61482-1-1), EN ISO 11612 A1 B1 C1 E2 F1, EN ISO 11611 A1 class 1 (see Flame and welding table for certified garment combinations), EN 1149-5 and EN ISO 20471 class 2 - sizes XS-S and class 3 - M-3XL / Leasing laundry-tested according to ISO 15797 / OEKO-TEX® certified.